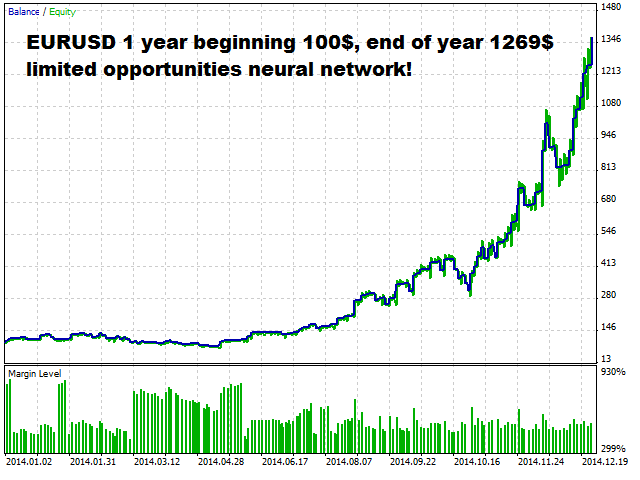 This is a professional trading robot, which implements the strategy of trading using neural networks. It uses Multilayer Fully Connected Feedforward Networks MLP (Multilayer Perceptron). Represents development of the BotNeyron project. The EA has almost appearance as its predecessor. We have changed inner configuration of the neural network, which is aimed to make a forecast for longer periods of time. We added parameters for MonoInversion, which simplifies the inner structure of the neural network. You can find setting examples for different structures in the form of .set files in Comments. The whole information concerning previous BotNeyron expert is suitable for this one as well. PeriodWork - working period of the expert system. Risk - risk (calculation of a lot from a deposit). Sleeps - waiting before repeated attempt to open an order. PeriodTrailing - period to control trailing stop. PeriodTrailingStep - period of trailing stop step. WorkOpenLong - opens long positions. WorkOpenShort - opens short positions. WorkCloseLong - closes long positions. WorkCloseShort - closes short positions. WorkCloseReversLong - closes the long position when the short one is opened. WorkCloseReversShort - closes the short position when the long one is opened. SignalBar - main signal bar. PeriodSignal - period of indicators and consequently of the neural network. TypeDual - switch of operational mode of the neural network with 2 or 4 outputs. MonoInversion - simplifies the neural network inner structure. LevelInLong - the neural network input level for the long position. LevelOutLong - the neural network output level for the long position. LevelInShort - the neural network input level for short positions. LevelOutShort - the neural network output level for short positions. EnabledRSI - the RSI indicator activation. k1_RSI_long - coefficient of the RSI indicator impact on the resulting signal for long positions. k1_RSI_short - coefficient of the RSI indicator impact on the resulting signal for short positions. Period1_RSI - the RSI indicator period. Layer_1AL - setting the neural network according to the RSI indicator for long positions. 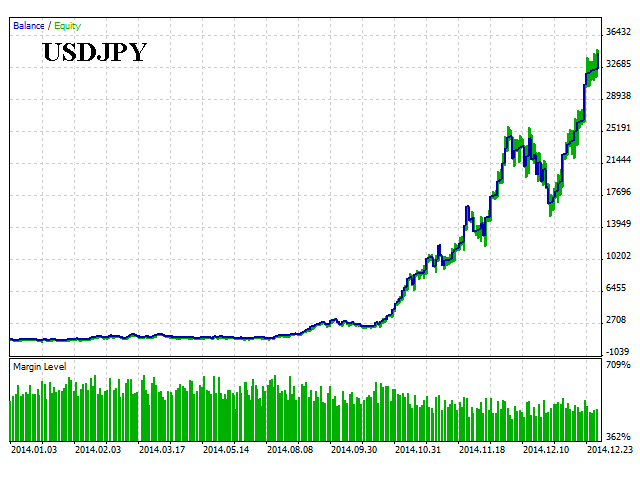 Layer_1BL - setting the neural network according to the RSI indicator for long positions. 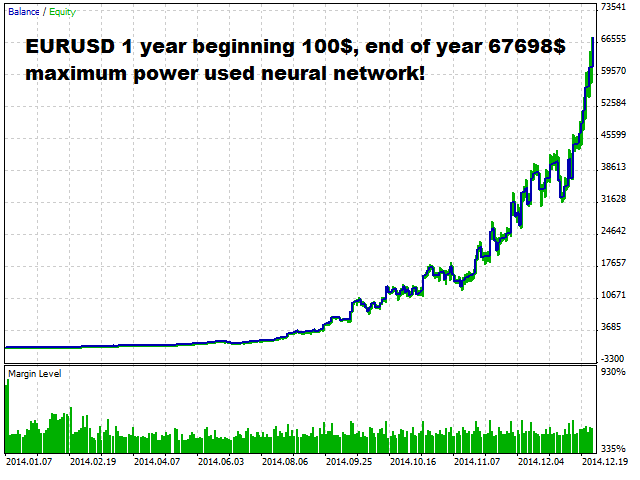 Layer_1AS - setting the neural network according to the RSI indicator for short positions. 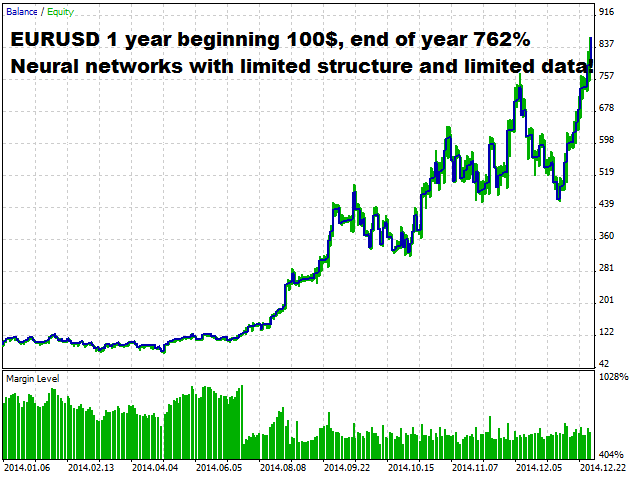 Layer_1BS - setting the neural network according to the RSI indicator for short positions. EnabledCCI - the CCI indicator activation. k2_CCI_long - coefficient of the CCI indicator impact on the resulting signal for long positions. k2_CCI_short - coefficient of the CCI indicator impact on the resulting signal for short positions. Period2_CCI - the CCI indicator period. Layer_2AL - setting the neural network according to the CCI indicator for long positions. Layer_2BL - setting the neural network according to the CCI indicator for long positions. Layer_2AS - setting the neural network according to the CCI indicator for short positions. 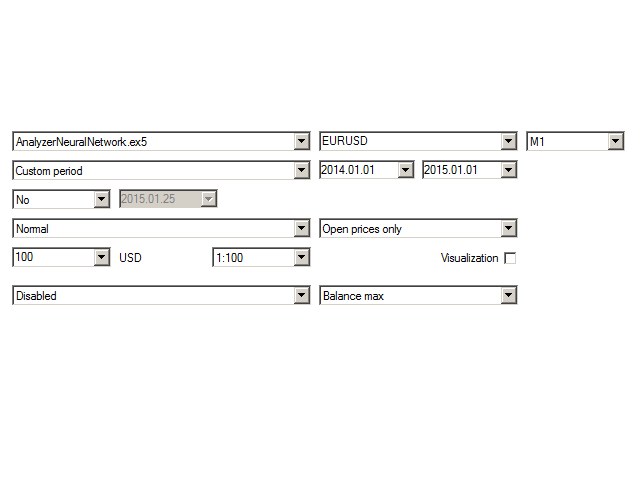 Layer_2BS - setting the neural network according to the CCI indicator for short positions. EnabledWPR - the WPR indicator activation. k3_WPR_long - coefficient of the WPR indicator impact on the resulting signal for long positions. k3_WPR_short - coefficient of the WPR indicator impact on the resulting signal for short positions. Period3_WPR - the WPR indicator period. Layer_3AL - setting the neural network according to the WPR indicator for long positions. Layer_3BL - setting the neural network according to the WPR indicator for long positions. Layer_3AS - setting the neural network according to the WPR indicator for short positions. 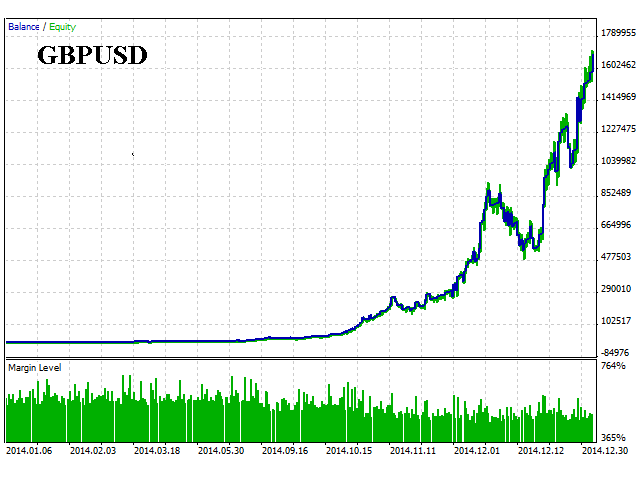 Layer_3BS - setting the neural network according to the WPR indicator for short positions. kProfit - adjusts profit impact on the result. kDeals - adjusts impact of trade amount on the result. kDD - adjusts drawdown impact on the result. kSharpe - adjusts Sharpe ratio impact on the result. kGross - adjusts loss positions impact on the result. Due to the changes in the terminal, here is the new version of the expert, which takes all the changes into account. Added check of the account type, for correct operation, only works on netting accounts (one symbol can have only one position). Changed the Custom function.